In this part, let's look at the key requirements for both the 1099-MISC and the 1099-K. What payments do you need to report and where do you report them? Our goal is to help you better understand your obligation and all the required information you need to collect. Keep in mind there are many types of information returns used for reporting income, but we’ll focus on two of the most common information returns: the 1099-MISC and 1099-K. It is recommended to talk with a tax advisor to understand the reporting requirements for your particular circumstances. Royalties: At least $10 in royalties [corresponds with 1099-MISC box 2] A common example of a royalty payment is a payment made to an author for the right to publish or distribute the author’s work. The payments reported on the 1099-MISC should only be for business payments. For example, let’s say a company hired a contractor to redesign the company’s website and paid them $1,000 for the project. The company would send them (and the IRS) a 1099-MISC. But, if the company’s CEO hired an independent photographer to take holiday photos of her family, then the company does not owe that contractor a 1099-MISC because it was a personal, not business, payment. The most important exception worth reiterating is payments to corporations. All payments made to a corporation do not typically require a 1099-MISC. This means that if a company makes payments to another company that is incorporated or to an LLC that elects to be treated as a C-Corporation, then this would not be reported on a 1099-MISC. (Unless the company paid for attorney fees. Those do require a 1099-MISC even if the attorney has an LLC treated as a or C-Corp). For the sake of this guide, we will focus on Third-Party Settlement Organizations (TPSOs) as they are most relevant for the majority of 1099-K form filers. A TPSO is only required to file a form 1099-K when when reporting payments to a participating payee or provider of goods and services vendor or contractor that exceed both 200 transactions and $20,000 during the course of the year. Yes, they do. 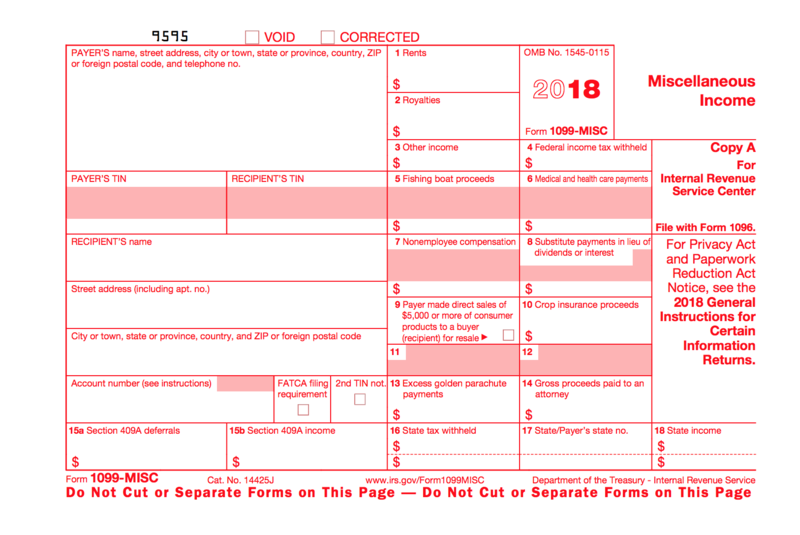 Unlike the 1099-MISC, the form 1099-K is sent to both individuals and corporations to report payments. For example, an LLC that elects to be treated as a C-Corporation would not be sent a 1099-MISC but would be sent a 1099-K depending on the payor’s particular obligation. Do tax-exempt entities receive a 1099-K? Yes, also unlike the 1099-MISC, TPSOs must issue 1099-Ks to tax-exempt entities like non-profits. One point of confusion for a lot of 1099-K filers and recipients alike is the reporting of gross payments. On the 1099-K, you’re required to report the gross payments which often includes home much was sent to a payee before any processing or platform fees. For example, Kickstarter and Stripe issue Creators 1099-Ks that report the gross amount paid to Creators before the Kickstarter platform fee and the Stripe processing fees. Does backup withholding still apply to 1099-Ks? Yes, please see IRS Notice 1430 for more information on backup withholding on the 1099-K.
Payments made with a credit card or payment card and certain other types of payments, including third party network transactions, must be reported on Form1099-K by the payment settlement entity under section 6050W and are not subject to reporting on Form 1099-MISC. 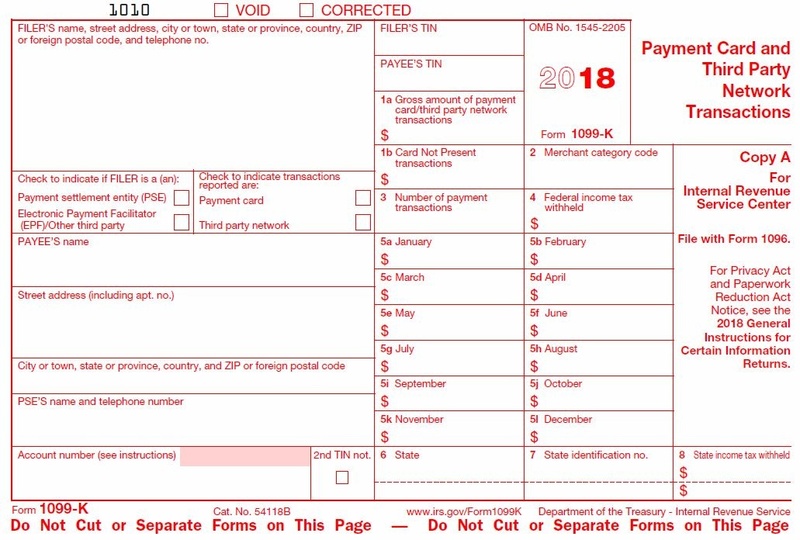 In other words, if a payor uses a credit card or TPSO to transfer funds to an independent contractor for a payment typically reported on a 1099-MISC, then the payor is required to report those payments on a 1099-K. For example, if a company pays an independent contractor with a credit card for services, then, because the payor used a credit card to pay the contractor, the requirements for a 1099-K apply. And in this particular case the credit card company is required to issue the 1099-K as it falls into the definition of a MAE. But, if the payor sent a payment to an independent contractor via check, then the payment is required to be reported on a 1099-MISC. Let's look at an example of 1099-K reporting to better understand requirements. Imagine you’re a sneaker seller on eBay earning a good portion of your income on the platform. You sell a lot of sneakers every month but rarely more than one pair to the same buyer and buyers are generally paying $70 for your shoes. You’re running a successful business -- but how does the IRS know what it should expect in taxes from you (and, yes, it wants to know)? It’s unreasonable to expect every customer who buys shoes from you to file a 1099-MISC or report that payment to the IRS. But it is reasonable (Congress and the IRS deemed) for eBay to bear the burden of combining the total amount you’ve earned on the platform selling shoes and report that to the IRS and to you. And the vehicle for that reporting is form 1099-K! There are entities and organizations that may loosely fit the definition of a PSE but do not need to file 1099-Ks according to the IRS. Healthcare networks and insurance carriers may frequently send out payments but are not technically a TPSO and therefore are NOT required to file a 1099-K. In-house accounts payable departments also don’t file 1099-Ks. Yes, they disperse payments but they are within a company -- they are not a third party. ACH, automated clearing houses. “An automated clearing house merely processes electronic payments between buyers and sellers through wire transfer, electronic checks, and direct deposit. (IRS)” ACH is the process for transferring money, not the processor responsible for reporting. In general, TPSO’s must file 1099-K for all payments made in the U.S. to a domestic bank account. Payments to non-U.S. payees are subject to special rules. It is recommended to talk with a tax advisor to understand any applicable 1099-K obligations when dealing with non-U.S. payees.